Just finished one of the most spectacularly absorbing books I’ve recently encountered, One River, by Wade Davis, ethnobotanist, anthropologist, and Explorer-in-Residence at the National Geographic Society. Davis is a true author, a writer of the highest caliber, as well as being an accomplished botanist, and the combination of these two disciplines is the uncommon recipe required for a book of this caliber to be produced. Having read a great deal of science writing over the past decade or so ranging from physics and cosmology to consciousness research and even theoretical mathematics, there are only a few examples equal to this kind of an amazing mix up in the talent threads. When you find one though, it can change your schedule for a while as you battle with the pressing needs of daily life that are asking you to put down the book and attend to them. In One River, Davis chronicles two stories simultaneously: his personal year-long journey through the Amazon alongside his partner and fellow Harvard man, the late Tim Plowman, and the historical work in that same region of their common mentor, Richard Evans Schultes. 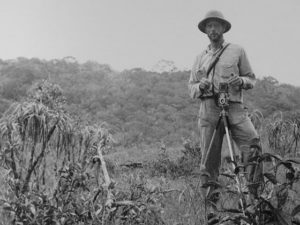 Schultes had done decades of some of the most important work in ethno-botany the world had ever seen, beginning in 1936 and continuing through the time of his death in 2001. The author’s story begins in 1974, at the beginning of Cocaine’s rather dramatic entrance into the mainstream American drug-scene and geo-politics in general, when Schultes helps to secure a sizable grant in order to send the author and Plowman on an incredible journey through every coca producing region of the Amazon and Andes, tying together the history, diversity, and science of the plant which is at the root of the issue. The story told, however, wanders seamlessly between this journey and Schultes’ own explorations decades before, effectively delivering not only both tales of amazing adventure and scientific discovery, but also portraying the changes to the region and its cultures that have occurred over such a short period of time. Laced throughout with meticulously researched history, first-hand accounts of experiences with spectacular tribal medicines and millennia old shamanic practices, and breathtaking descriptions of the land and people themselves, Davis provides those without the necessary Indiana Jones-like fortitude to actually complete a journey of this sort the most easily accessible and beautiful window into the world of upper South America I have ever seen in print. And the book’s scope is actually much greater even than the telling of these two main stories. Many, many other stories are seamlessly woven into the thread, like Davis’ own solo travels and explorations with the Waorani, one of the Amazon’s famously most primitive people’s, or the absolutely horrifying history of the rubber baron Julio Cesar Arana, which reads like a excessively macabre rendition of some sort of medieval cross between the Inquisition and Dante’s Inferno, and even an excellent brief but comprehensive historical account of the rise and fall of the Inca Empire, just to name a few. Davis’ attention to detail and exhaustive research of the book is amazingly specific, yet falls well short of being nauseating, a problem with much historical writing. Somehow, because of the fluidity of the prose, one reads paragraphs like this one from the section on Schultes’ WWII service in attempting to replace East Asian rubber stocks captured by the Japanese with new Amazonian resources: “On November 20, 1942, a tall, thin, strikingly handsome man entered the Washington D.C,. headquarters of the Rubber Investigations Division of the Bureau of the Plant Industry, U.S. Department of Agriculture. Dressed in a dark suit, he cut an impressive figure, quite unlike the rough-and-tumble rubber explorers the secretaries had grown accustomed to. Handing his card to Miss Prince, the receptionist, he asked to see Robert Rands, senior pathologist and head of the Hevea rubber project. Miss Prince passed the visitor along to Mrs. Bedard, Rands’s personal secretary, who ushered Schultes into a small waiting area.” Entirely without getting lost, or bored. Miss Prince, the receptionist? Mrs. Bedard, the personal secretary? Dark suit? It’s almost as though he is making it all up. Yet I don’t believe for even a second that he is. The guy’s just done his homework, and then written the sentences in such a way that they actually hold the reader’s interest and provide an incredible rendition of the story, describing a long and interconnected series of events that has affected the global human experience at an unimaginable scale, all the while somehow remaining almost entirely outside the realm of common consciousness. Bottom line – I could not more highly recommend this book. And will happily also extend my personal heartfelt thanks to its author for the years he dedicated to its production.